This is a collection of Elizabeth Berg's most-loved Facebook posts. She was asked by many to put these short essays into book form, to create, as one reader said, something to "take to the beach, or bed, or on an airplane." 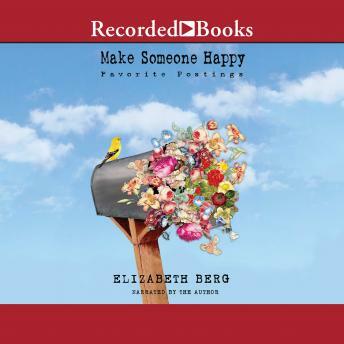 Elizabeth and her friend, the book's designer Phyllis Florin, happily complied, and they hope that their offering will be as welcome as flowers in a mailbox.